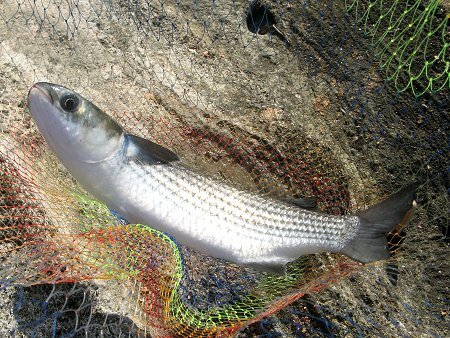 There are at least 12 recognized kinds of mullet being caught all over the world. 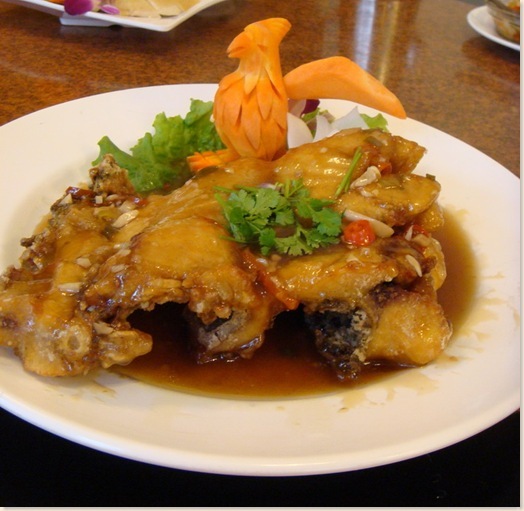 The flathead mullet in particular is an important food fish for many around the world, and can be both fished and farmed. 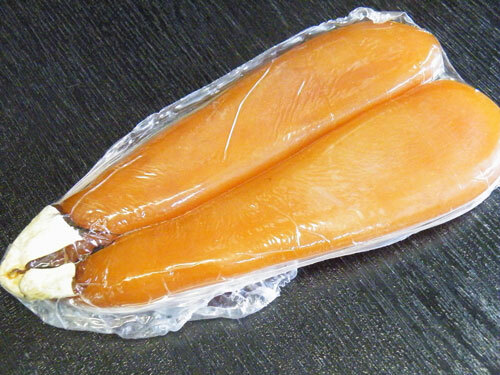 The roe of this mullet is salted, dried, and compressed to make a specialty food across the world, such as Korean myeongran jeot, Japanese karasumi, Italian botargo, and Egyptian batarekh . In Egypt, the fish itself is salted, dried, and pickled to make feseekh. 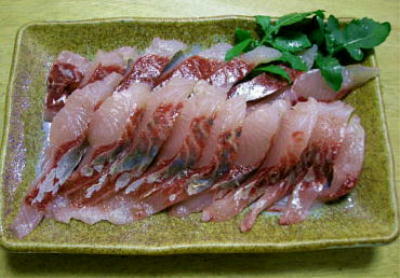 Flathead Mullet, Mugil Cephalus in Latin, or Bora/鯔/鰡 in Japanese will reach length of over 80 cm in Japan, although the average length will more around 50 cm. 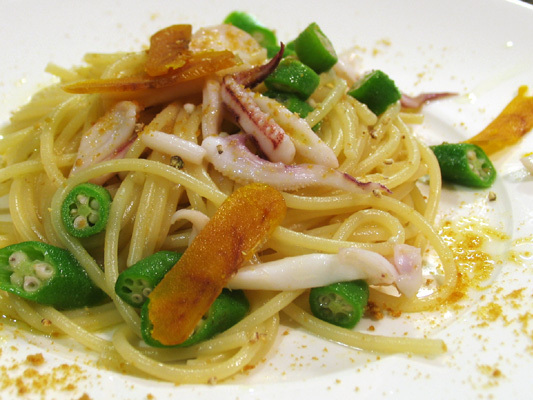 It is caught south of Hokkaido near river mouths or in bays receiving lots of river waters. 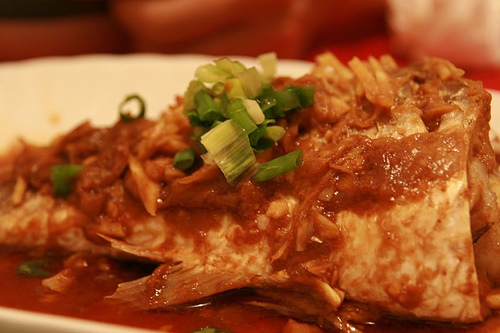 Like any othe fish, it will be called other names depending upon the region: Isegoi (Western Japan), Itanebora (Ehime Prefecture), Mabora (Hiroshima Prefecture), Tsukura (Okinawa), Kuchime, Mejiro, Hebuna, Haku, Makuchi, Kurome, or Merome. 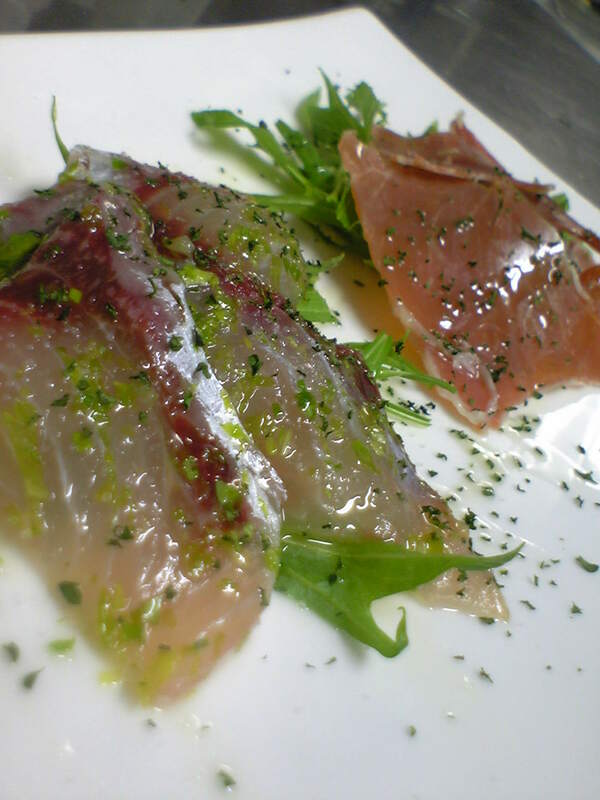 as carpaccio in Italian style. 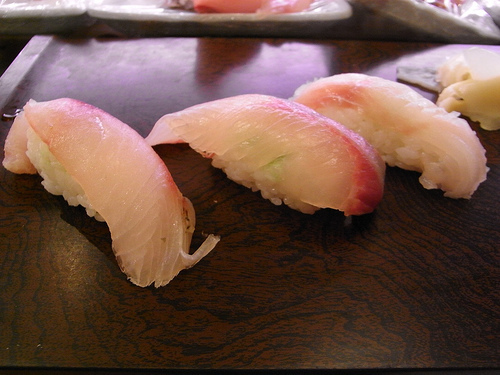 It is more unusual as sushi nigiri (front two) and will probably be found as such only locally. 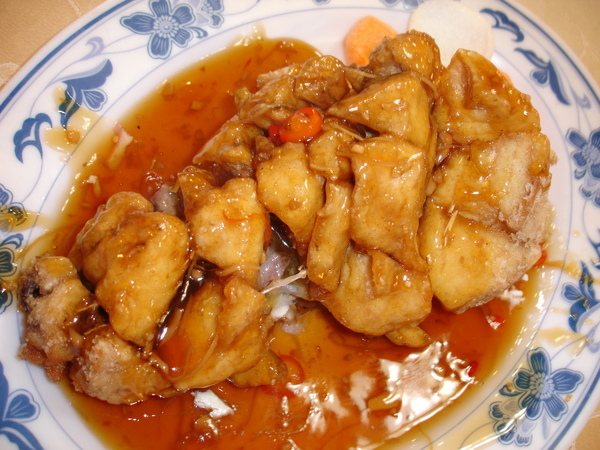 Deep-fried and served with a soy-based sauce is common to many asian countries. 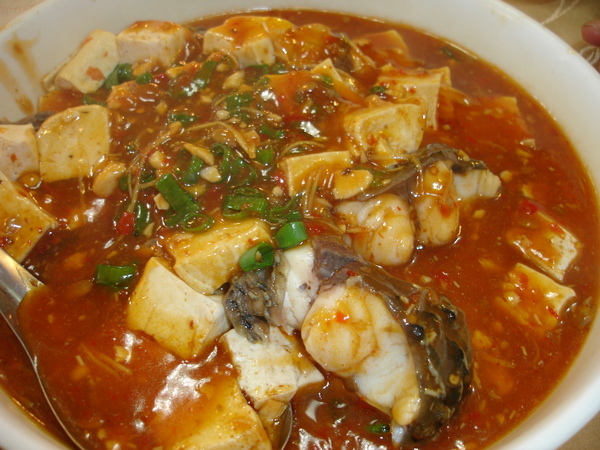 or the same again with tofu is popular in Taiwan (and in Japan!). 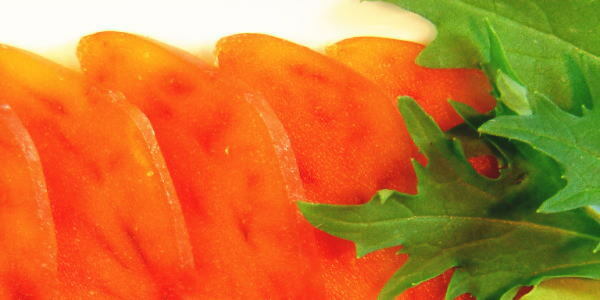 First steamed and then served with a sauce made with sweet pickled plum and miso is supposed to be of Chinese origin, but can be found again in many Asians countries. But for all these recipes, the most valuable (and very expensive at that!) is the roe of the female mullets! 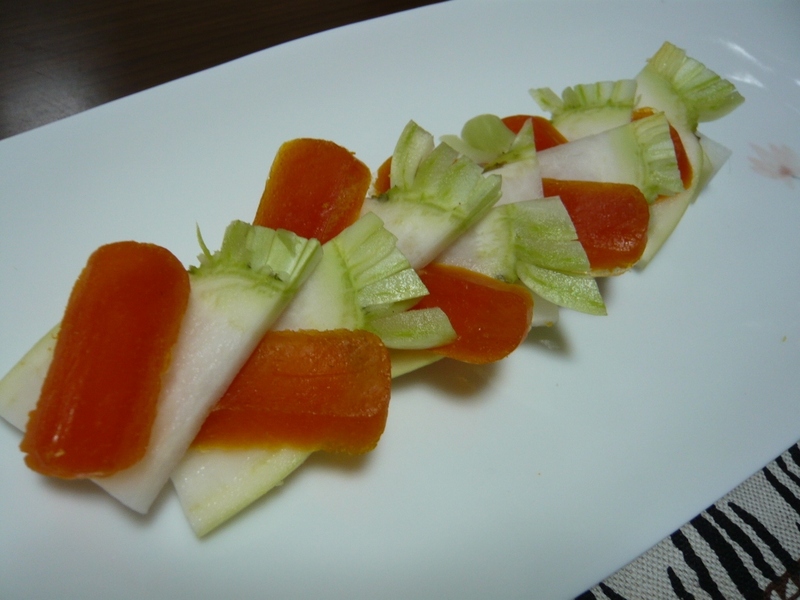 It is served as it is extavagantly in Japanese or Italian cuisine sashimi or carpaccio. 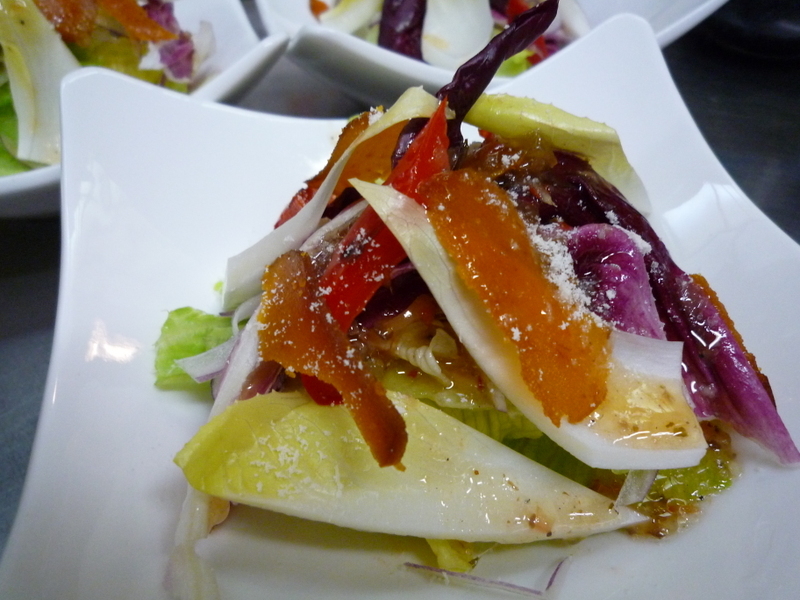 An extravagant salad of Japanese and Italian inspiration! Grated over an extragant pasta dish!